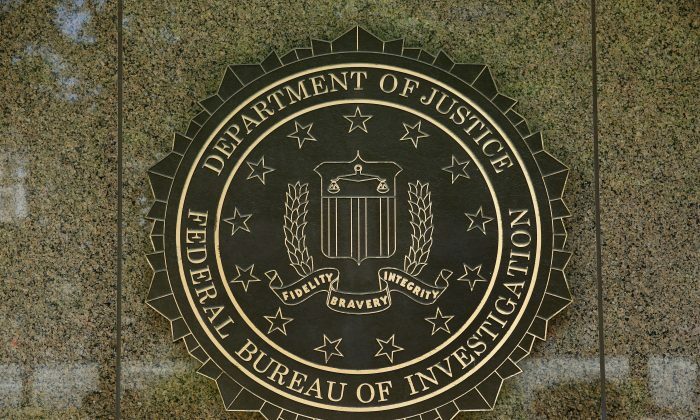 A high-level FBI agent demoted after his anti-Trump bias was revealed had sent a disturbing text message regarding a potential plot against then-candidate Donald Trump. However, Strozk says that “I’m afraid we can’t take that risk.” He also said that “It’s like an insurance policy in unlikely event u die be4 you’re 40,” implying that it was all but certain that Hillary Clinton would win the election. According to the message, Page had made the suggestion in the office of Andrew McCabe, referred to as “Andy” in the message, who was the Deputy Director of the FBI at the time. Text-from Peter Strzok to Lisa Page (Andy is Andrew McCabe): "I want to believe the path u threw out 4 consideration in Andy's office-that there's no way he gets elected-but I'm afraid we can't take that risk.It's like an insurance policy in unlikely event u die be4 you're 40"
It is unclear what the path that Page suggested referred to exactly, but it raises ethical concerns involving FBI agents as well as McCabe. McCabe became the acting FBI director earlier this year after Trump had fired FBI Director James Comey. Strzok was fired by Special Council Robert Mueller earlier this year after around 10,000 text messages between Strzok and Page were discovered. They were allegedly involved in an affair. The messages were sent between Aug. 16, 2015, and Dec. 1, 2016. The revelation is concerning as Strzok played a key role in both the investigation into former Secretary of State Hillary Clinton’s use of a private email server to send classified information, and the investigation into alleged collusion between the Trump campaign and Russia. The Hill reported on Dec. 4 that Strzok changed key language in the conclusion of the Clinton email investigation. Strzok changed the language on the Clinton email case from “grossly negligent,” which would have been a crime, to “extremely careless.” Changing the phrase may have exonerated Clinton. “Strzok’s behavior and involvement in these two politically sensitive cases raises new concerns of inappropriate political influence in the work of the FBI,” said Sen. Chuck Grassley (R-Iowa) in a letter to the Justice Department on Dec. 6. Trump has long criticized the so-called deep state for opposing him and his presidency. The deep state refers to the bureaucracy of permanent and un-elected officials in branches across the U.S. government. “You know there is no country like our country. But we have a lot of sickness in some of our institutions. And we’re working very hard, we’ve got a lot of them straightened out,” Trump said at a rally in Pensacola, Florida, on Dec. 8. What is known so far is that officials have engaged in selective leaks in an attempt to damage Trump’s presidency. It was also revealed earlier this year that members of Trump’s campaign and transition team were being spied on through unmasking requests made by key officials of the Obama administration, including his national security adviser, Susan Rice, and U.N. Ambassador Samantha Power. Congress is currently investigating whether the surveillance requests were made based on information contained in the so-called Trump dossier. The dossier relied almost exclusively on Kremlin-linked sources, and its information was “salacious and unverified,” according to former FBI Director Comey speaking before the Senate Select Committee on Intelligence on June 8. The document was financed by the Clinton campaign and the Democratic National Committee, The Washington Post revealed in October. Court documents from the UK, where Steele is currently being sued by a businessman mentioned in the report, also show that Steele was ordered by Fusion GPS to give briefings to journalists on the report. Last month it was revealed in court documents filed by the House Permanent Select Committee on Intelligence that Fusion GPS also made payments directly to journalists. Last week it was revealed that the wife of a high-ranking Department of Justice official worked for Fusion GPS during the 2016 elections. Bruce Ohr lost his position as associate deputy attorney general after it was revealed that he had concealed his meetings with Glenn Simpson, founder of Fusion GPS, and Christopher Steele, a former British spy hired by Fusion GPS to produce the dossier. Ohr’s wife, Nellie, worked for Fusion GPS in 2016, Fox News reported based on information from the House Permanent Select Committee on Intelligence. If you enjoyed reading this article, support our independent journalism by sharing it on social media.